Teachers, parents, and kids agree that author visits enhance the educational experience. When children meet authors they are inspired to read and write more. I will tailor my presentation to the needs of your students. The focus can be on the writing process, the importance of reading for writing, gardening, or all about Seed Savers if your class has read the book or book series. I am a licensed teacher and have taught all ages ranging from kindergarten to adults. My specialty area is English as a Second Language. I grew up on a farm and attended a small country school. My teaching experiences have been in large public schools, small private schools, and overseas so I am at home in all situations. I LOVE VISITING CLASSROOMS !!! If your school library budget is bare, don’t worry. 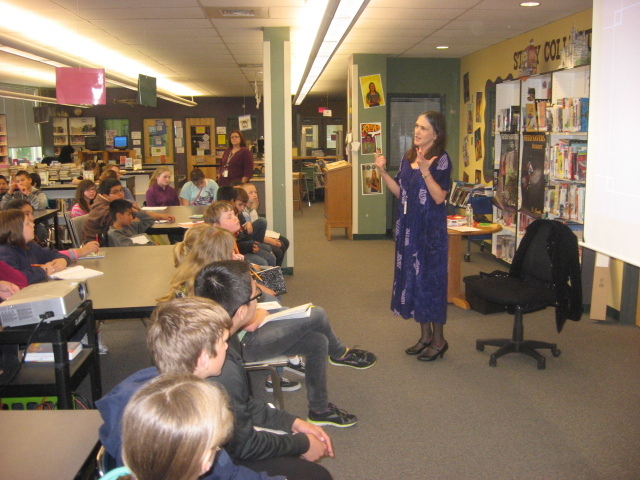 There are many ways schools can find money to fund author visits! If you, busy teacher that you are, don’t have time to apply for grants or organize events, find an enthusiastic parent to help. 🙂 And remember: the more the kids are involved, the better the event will be. Please email me at sandrasmithauthor [at] gmail.com with questions or to book a visit. You may also use the contact page on this website. Thanks! I look forward to hearing from you.